Freeform is leading the way towards the future of travel. 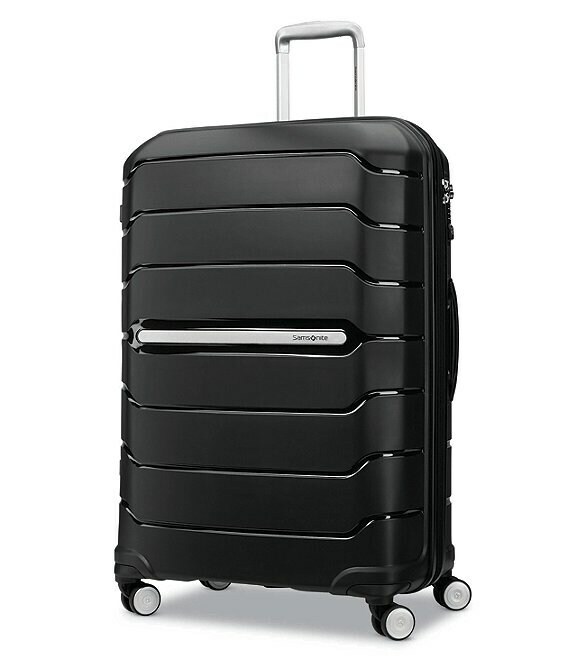 Taking a new and progressive approach to luggage design, Freeform's cool, futuristic design design is highlighted by unique new shape that matches its cutting-edge features. Freeform offers more of what frequent travelers demand: lighter weight, stronger materials, increased durability and maximum maneuverability. Ultra light, ultra-strong polycarbonate shells withstand the rigors of modern travel. Four multi-directional double spinner wheels allow 360 degree upright rolling so there is no weight on your arm or shoulder. Cross ribbon and divider for easy packing, multiple pockets to keep belongings organized. Recessed TSA combination lock provides security when checkinig belongings. Cases expand for added packing capacity.